Fun on the North Shore! I dont think ill get over that pic... I LOVE IT!!! I think I need a winch! 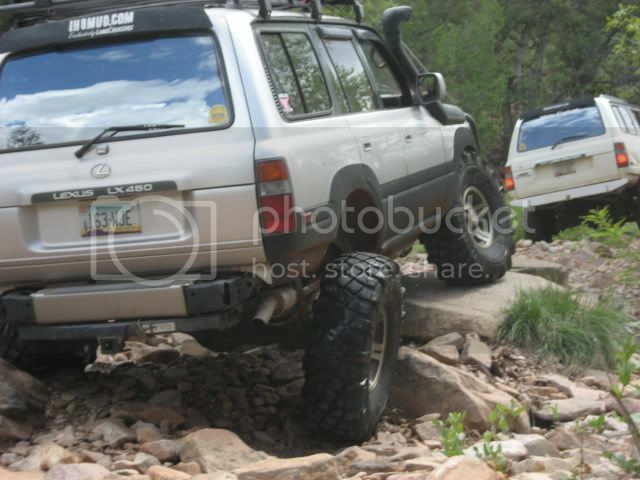 anybody else have pics of wheeling? 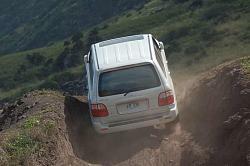 i'm still looking for that perfect lx450 with lockers so i can sell my jeep! If the wild wheeling thread on Mud doesn't do it, then you won't be changing over. my mind is already made up, just waiting to be able to sell the jeep and find the LX! 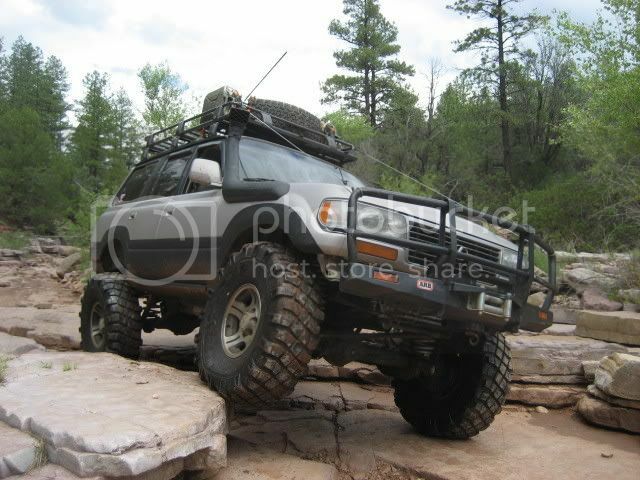 THE funny thing is that before i bought my jeep (02 grand cherokee overland) i was ready to buy a 96 land cruiser with the lockers, very good condition, but i couldn't get a loan on it because i had just sold a camaro ss i had and the loan hadn't been cleared yet. so while i was waiting, another guy came and bought the LC. after that, i couldnt' find one within a reasonable distance, so i spent twice the money on the jeep because i just had to get a rig that i could be comfortable in that would wheel well without spending too much on mods. i lifted it, put some 31's on it and wheel the hell out of it. it does very well with factory limited slips in front and rear axles and facotry rock rails and skid plates, but it still isn't a toyota! Last edited by 19psi; 10-19-07 at 05:29 AM. But you should ask Val for the story that goes along with the aftermath of that pic. You don't need a snorkle for that little puddle..
You don't need a snork for that little puddle of water you are crossing there. and the after pics are not worth the drive thru.. try something more intense.. you seem like that hummer that is on Cars at the end of the movie.. whom hasn't ever been off-road before.. Funny.. 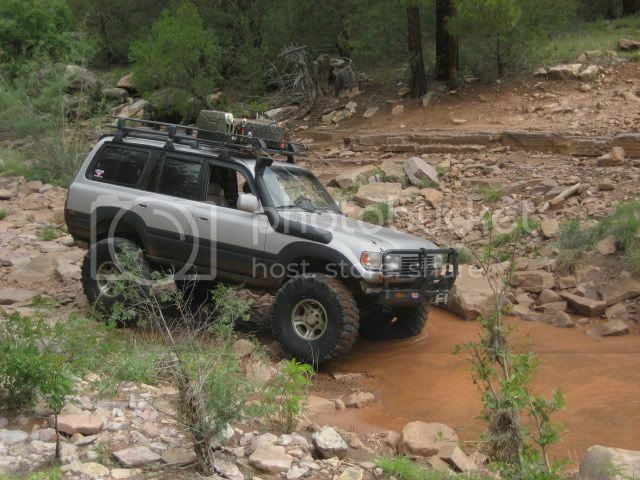 I laugh.. Ha ha .. you want to see some real off road head over to some Rover forums..
Im in love with these pics!! Makes me want to buy one. 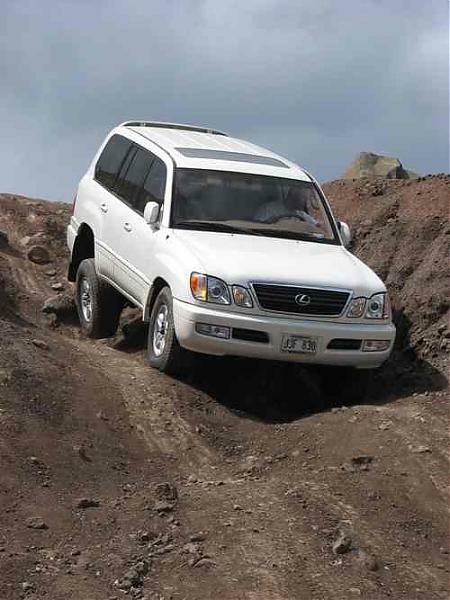 Will the 285-75-16 tires fit without suspension modification? 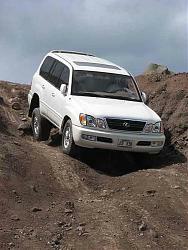 yes on both the lx450 and lx470.